During the era of cannabis prohibition in California, the burdens of arrests, convictions, and long-term collateral consequences arising from a conviction fell disproportionately on Black and Latinx people, even though people of all races used and sold cannabis at nearly identical rates. The California Department of Justice data shows that from 2006 to 2015, inclusive, Black Californians were two times more likely to be arrested for cannabis misdemeanors and five times more likely to be arrested for cannabis felonies than White Californians. During the same period, Latinx Californians were 35 percent more likely to be arrested for cannabis crimes than White Californians. 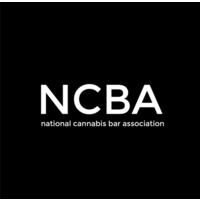 The collateral consequences associated with cannabis law violations, coupled with generational poverty and a lack of access to resources, make it extraordinarily difficult for persons with convictions to enter the newly regulated industry. Cannabis prohibition had a devastating impact on communities across California and across the United States. Persons convicted of a cannabis offense and their families suffer the long-term consequences of prohibition. These individuals have a more difficult time entering the newly created adult-use cannabis industry due, in part, to a lack of access to capital, business space, technical support, and regulatory compliance assistance. It is the intent of the Legislature in enacting this act to ensure that persons most harmed by cannabis criminalization and poverty be offered assistance to enter the multibillion dollar cannabis industry as entrepreneurs or as employees with high quality, well-paying jobs. The California Equity Act offers local governments support for equity based projects by establishing a grant program administered by the BCC. To be eligible, the BCC will essentially evaluate whether the locality has an equity program in place and the number of applicants meeting the equity criteria within the jurisdiction. In exchange, the local jurisdiction will be required to submit an annual report reflecting how the grant funds were disbursed, eligibility criteria for the equity program, number of qualified equity applicants identified, demographic data and confirmation that no more than 10% of the grant funds received are used for administrative costs, including staffing. The BCC will also be publishing approved local equity ordinances in existence and model local equity ordinances drafted by advocacy groups and experts no later than July 1, 2019. To read the entire California Cannabis Equity Act, click here. Dana will be headed up to Oakland tomorrow to work with industry leaders on a model social equity ordinance. If you are in Oakland, please connect with her and say hi.